These pages are a record of the Tatham family of County Durham. Most of the family migrated to the south of England from the mid 1700s onwards, and their north country origins were gradually forgotten. By the end of the 19th century there were Tathams all over the world - in Australia, Canada, Ceylon, China, India, New Zealand and USA, as well as the long established colony in South Africa. The idea of this website is to raise the family's awareness of our shared history, and to encourage interest and discussion about our heritage. Feel free to wander around this site and explore. There's a basic guide to the contents at the What's Here page. If you have any questions or comments, or would like to share research, please contact us. Family members are encouraged to register as users, which lets them view details of living persons. It is now more than two years since Roden Tatham left us, on 29 March 2013. 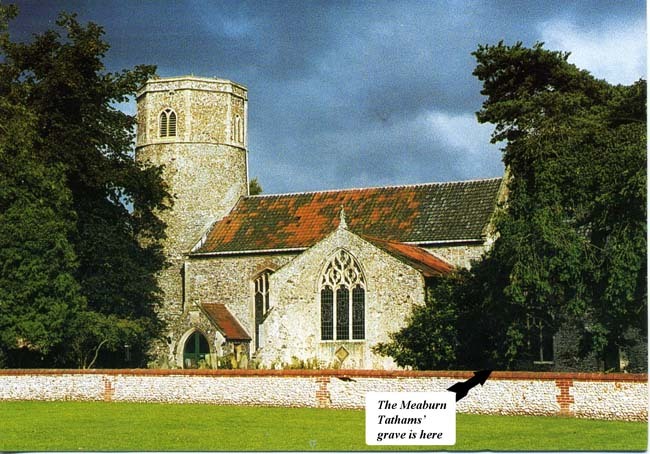 On Sunday, 6th October of that year, a beautiful autumn day, we laid his ashes to rest in a Norfolk country churchyard, at the parish of Great Ryburgh where he had been the patron since 1976. Roden loved Great Ryburgh, and its ancient round-towered church of St Andrew, and was generous in his support. Over the past two centuries the Tatham family has supplied five clergy to the benefice, and six patrons, of whom Roden was the last. First a Choral Eucharist was celebrated in St Andrew's Church, with the Tomás Luis de Victoria Mass O quam gloriosum, performed by the I Musicanti singers. Then in a simple ceremony led by the Rector, we buried Roden's ashes in the Garden of Remembrance, newly laid out last year. A stone in Roden's memory marks the spot, close by the graves of other Tathams, including that of the first family patron of the Ryburgh parish, Meaburn Tatham (1784-1875), restored for this occasion. Afterwards a lunch was kindly offered by the Churchwarden in her home, for the family members, the rector, the singers and the Ryburgh parishioners, gathered together to bid Roden Tatham farewell. Basil Owen Tatham was killed in action 104 years ago this week, one of the many Tatham descendants to lose their lives in the First World War. His father Arthur Thomas Tatham was a successful brewer and wine merchant in Stafford, and was able to acquire a large country house near Crewe, as well as a rubber plantation in Malaya. 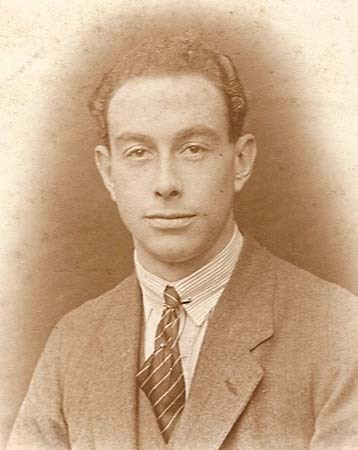 After school at Charterhouse, Basil served for 10 years as an officer in the East Yorkshire Regiment, until 1912 when he left the army and and went out to Malaya to manage the rubber plantation. At the outbreak of war in 1914 he returned to England and rejoined his former regiment. He was posted to the front in Feb 1915 with a new draft. Three months later he was killed, on 23 Apr 1915 at the start of the 2nd Battle of Ypres. We are searching for details of his death but there may have been no record. He has no known grave and is commemorated on the Menin Gate. Sadly, this part of the family left no descendants. Arthur Thomas Tatham was to outlive not only his son Basil, but also his wife, their other two sons and their only grandson.